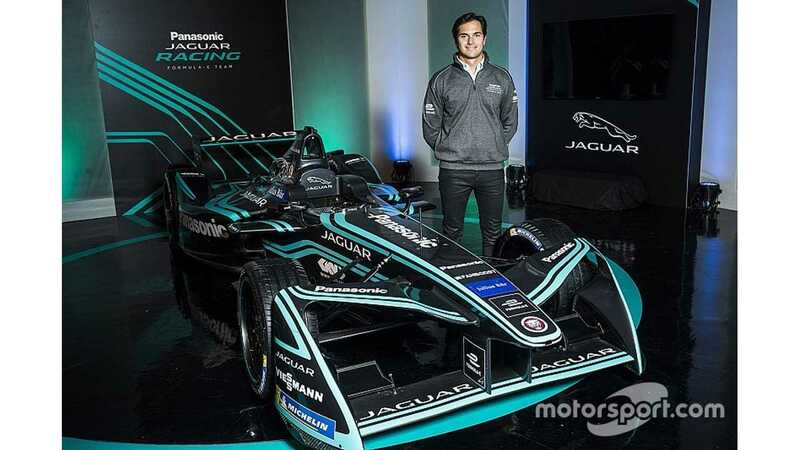 Santiago Formula E Race Shows Move To Jaguar Is Paying Off product 2018-02-06 14:30:05 https://insideevs.com/news/336461/santiago-formula-e-race-shows-move-to-jaguar-is-paying-off/ Motorsport, Nelson Piquet Jr.
Nelson Piquet Jr produced yet another strong race for Jaguar Racing in Santiago, fighting Sebastien Buemi for third place when he locked up and took to the escape road, recovering to finish sixth. We are in a position where we never thought we were going to be - potentially fighting for a top-three - so I am taking maybe a little bit more risks in general. But to be honest, the move I did on Buemi was much riskier than the start. I was really surprised when everyone braked early and they just moved out of the way, and I just took advantage of it.  I had a great start: I managed to creep up the energy perfectly and everything worked out well. I could have even potentially passed Jean-Eric Vergne – but that would have been a risk – I didn't even lock wheels, the car was under control. If I had braked even later I could have got past Vergne, but he would have put me in the wall for sure because of Monaco. I think as a team we have put ourselves in a position where we did an amazing job with the car. I think the car is even better than expected. Every race it is surprising us. Between the drivers and the team we aren't extracting everything. There were some issues in the race which is why there were some points where I was really fast and some where I was dropping back, we're just not managing the car as efficiently as we could. There were a few things that happened that could have meant I was second or maybe in first when we came into the pits, which would have taken me out of the risk around Buemi. 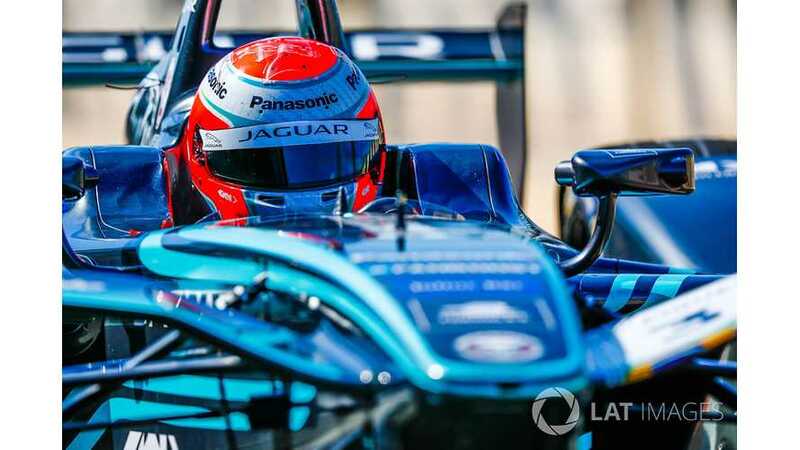 The way I see races – especially in Formula E – is if I see Buemi putting pressure on me, and I see the two guys ahead of me fighting and I don't see anybody behind Buemi, and the team is saying we are risking temperature, I'm going to let Buemi by. One, because I want to score the points and two, there's a very high chance of Buemi being quick and catching them and me then taking advantage of that. That's what happened a lot of times in Season 1 and that's how I did well. 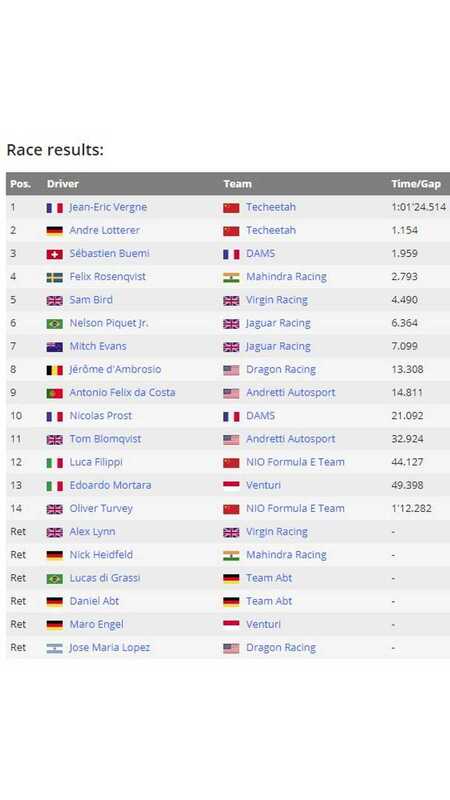 If it wasn't for the mistake with Buemi, we would have been third or fourth, and close to the leaders. All the things that we know internally and we still finished there. Wow! We have the potential for so much more and that's very optimistic and very good. But that puts pressure on me as I'm thinking we can finish top three in the championship if we keep getting the points. We just need to get a few more podiums. There is a bit of a gap now between the leader and us, but it's OK. The Audis are the fastest cars but not reliable, but for sure they are going to win a few races and take points off the guys I need to catch, so in general it is positive. When I made the decision to come to Jaguar, it was in a way risky, because they had had a hard season. I knew that NextEV was pouring in a lot of money so at some point they were going to get it right. I took a gamble because they were both at a low level but I thought that Jaguar could be raised a bit more. But it was still a high risk. I was in a very comfortable position at NextEV: the team relied on me, they knew me and this and that and instead I came to an unknown territory. And that was the reason to bring Phil Charles and Paul Davies - people I trusted - and this made me a bit less worried, because if things didn't work well, at least I'd know why, rather than those internal problems you have between drivers and team bosses – I was trying to minimise the risk. And every race that I'm doing it's paying off. It's a great group of people, the car is great and I'm just having the best time. It's worth it. I really like the people I'm working with. They are doing an amazing job and every day they are working harder for us. I'm very lucky I've taken this decision, I'm grateful for it and it's all worked out. The reaction of the fans in Chile was similar to what we experienced in Mexico. The amount of Brazilians that were here, the number of people who knew me, was very surprising. So was the number of people who wanted to be close to the drivers, the number of people who wanted pictures; we just don't have that in Europe at the moment. Next up for me is getting ready for Stock Car Brazil. I'm going to Brazil for two weeks to do a seat fit, and testing a couple of tracks I'm not familiar with. The first round is in Sao Paulo the week after Mexico. I'm going to be arriving the week of the race and I don't want to be fiddling with seat fits: I want everything to be ready and good to go. I don't want to be worrying about anything, so I'm going to get all that sorted now, go back to Europe for a week and work on the sim for Mexico and Punta, then fly to Mexico/Sao Paulo/Punta. After that I go home for a week and by then it's already the end of March!